Judaism is the religion, philosophy and way of life of the Jewish people. A monotheistic religion originating in the Hebrew Bible (also known as the Tanakh) and explored in later texts such as the Talmud, Judaism is considered by religious Jews to be the expression of the covenantal relationship God established with the Children of Israel. Rabbinic Judaism holds that God revealed his laws and commandments to Moses on Mount Sinai in the form of both the Written and Oral Torah. This assertion was historically challenged by the Karaites, a movement that flourished in the medieval period, which retains several thousand followers today and maintains that only the Written Torah was revealed. In modern times, liberal movements such as Humanistic Judaism may be nontheistic. Judaism claims a historical continuity spanning more than 3,000 years. It is one of the oldest monotheistic religions, and the oldest to survive into the present day. The Hebrews / Israelites were already referred to as "Jews" in later books of the Tanakh such as the Book of Esther, with the term Jews replacing the title "Children of Israel". Judaism's texts, traditions and values strongly influenced later Abrahamic religions, including Christianity, Islam and the Baha'i Faith. Many aspects of Judaism have also directly or indirectly influenced secular Western ethics and civil law. Jews are an ethnoreligious group and include those born Jewish and converts to Judaism. In 2010, the world Jewish population was estimated at 13.4 million, or roughly 0.2% of the total world population. About 42% of all Jews reside in Israel and about 42% reside in the United States and Canada, with most of the remainder living in Europe.The largest Jewish religious movements are Orthodox Judaism (Haredi Judaism and Modern Orthodox Judaism), Conservative Judaism and Reform Judaism. A major source of difference between these groups is their approach to Jewish law. Orthodox Judaism maintains that the Torah and Jewish law are divine in origin, eternal and unalterable, and that they should be strictly followed. 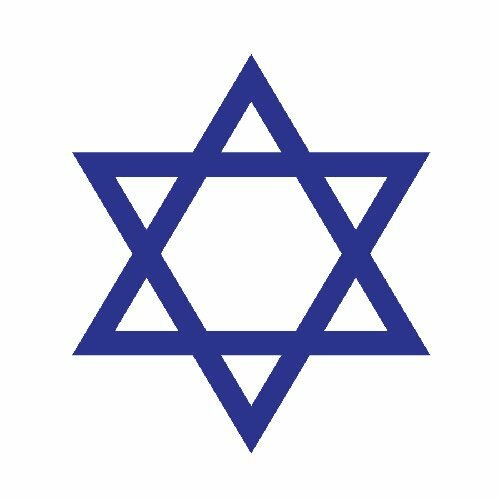 Conservative and Reform Judaism are more liberal, with Conservative Judaism generally promoting a more "traditional" interpretation of Judaism's requirements than Reform Judaism. A typical Reform position is that Jewish law should be viewed as a set of general guidelines rather than as a set of restrictions and obligations whose observance is required of all Jews. Historically, special courts enforced Jewish law; today, these courts still exist but the practice of Judaism is mostly voluntary.